I only have a small problem. It’s not important enough for a ticket. I need help right now! (Despite ticket response time usually being equal to response time for calls or email). The way to get end users to actually use your help desk ticketing system is to make it as efficient and friction-free as possible. 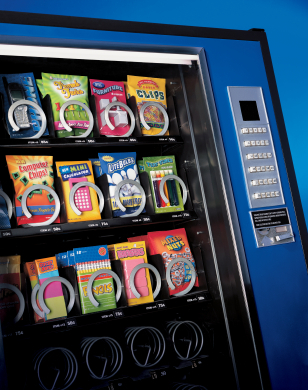 People are only human (mostly), and when they’re in need, they rely upon relationships for help, even if that “relationship” consists entirely of that one time they accosted you by the vending machine and made you “diagnose” their disconnected printer cable. You have to show end users that help desk ticketing is effective, easy, and quick. Here are the five features you need for a great help desk ticketing system. 1. The ability to send tickets by email. 2. The ability to view the status of tickets. Users feel empowered if they can see that something is being done with their request. But users shouldn’t be the only ones to be able to view ticket status. If your help desk ticketing system allows team collaboration, the entire help desk team can view all the tickets and share the workload, decreasing ticket response time. This is another great option for end users to order the services or products they need. With a self-service portal, you provide an IT services catalog with descriptions of the technology services available to end users. The catalog can provide information about how long a request will take to complete, whether a request for approval from a manager is necessary, and the charge to their project (if applicable). This can be set up like a shopping website, where end users put needed IT services into their “shopping cart.” When the user finishes “shopping,” a service request will show up as a new item on the service desk along with the other help tickets. 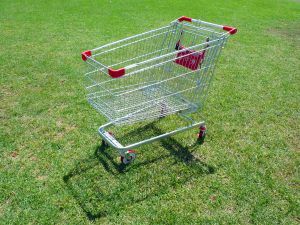 The other type of mobile shopping cart. This may be invisible to end users, but when your help desk ticketing system has mobile capability, you can deal with support requests wherever you are, without even installing an app. You simply go to the dedicated website using the browser on your phone or tablet. Bada-bing. 5. An integrated knowledge base. Like mobility, this will be mostly invisible to end users, but it’s a huge timesaver for service desk workers. With an integrated knowledge base, you can retain and reuse knowledge you gain by taking care of service requests. This not only helps service desk workers save time, it can be set up to allow end users to search for solutions themselves through the self-service portal. A great help desk ticketing system benefits end users and IT service desk workers alike, reducing service times, and allowing IT services to be easily tracked. This allows for further improvements in service and lets service desk workers focus their energies on solving problems. Check out SAManage’s IT Service Management for a package that offers all the above features, for a low monthly fee.